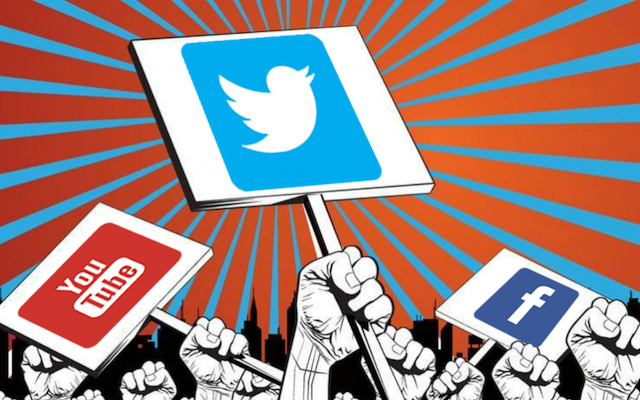 From the provision of free advertisement, highlighting important advocacy works, making speeches and statements readily available to helping candidates to promote their campaign messages widely and freely, there is no denying of Social Media’s role in elections processes across the world and for millennials, it is a lifeline of information. The two-hour lively discussion hosted by Penplusbytes brought together journalists, development thinkers and social media enthusiasts and sought answers to what social media’s place is in elections, how social media has impacted on elections in other countries, whether social media monitoring can be used to curb electoral violence and misinformation, and what a shutdown of social media on Election Day could mean for Ghana’s democracy. Elaborating further on his viewpoint, he said social media has rendered traditional campaign strategies insufficient and has, even before the start of the campaign season, brought to fore issues that needed to be addressed by candidates. This, according to him, has fed into reasons behind the powerful online campaigns launched by the various political parties. This he said is in recognition of not only the popularity of the tool but also its effective ability to reach a critical mass of Ghana’s youthful population who are migrating onto the virtual space. In a direct endorsement of social media’s role, Sampson Adotey Jnr, a participant from Participatory Development Associates Ghana expressed disbelief over why Ghana would even entertain any thoughts of banning social media use during elections. “We have come a long way from where we started and braved some of the worse challenges of our democracy. Social media has found a useful place in our electoral process for the ordinary citizen and this is the time to build upon it and make it work for us and not the reverse,” he added. The exciting morning session touched on various angles of what has become one of the most topical issues ahead of the December polls and as part of a continent where social media bans, especially during elections has become a routine for many countries, Ghana’s stakeholders could not have found a better platform to be heard. Dr. Daniel Blank, Country Representative – Ghana of DW-Akademie stated that social media is here to stay and is a part of something much bigger than just a daily socialisation tool that connects everything in society. “Good or bad, social media cannot be disrupted”, he added. Gad Ocran of GET GHANA ONLINE, however believes that social media has within it the ability to sanitize online activities of users and encourages Ghana’s security services to find out how best it can be used to monitor and regulate the responsible use of the online tool. The 10th Technology Salon agreed on the multifaceted influence of social media and how it has dramatically changed the dynamics of elections across the world. Participants, in admitting to how the absence of control could encourage misuse also likened any attempt to shut down social media to a decision to stop building roads as way to curbing the flouting of road regulations by motorists. Written by Yaw Frempong Ampomah of Petplusbuytes.